I am not one who writes book reviews. The best reason I can give for that is that I feel stating my opinion is far less important than moving on to the next book. Or writing a story of my own instead. But then I read the perfect book. It’s a bestseller already, certainly, doesn’t need my five-star review. So this is more about what the book meant to me. For me. 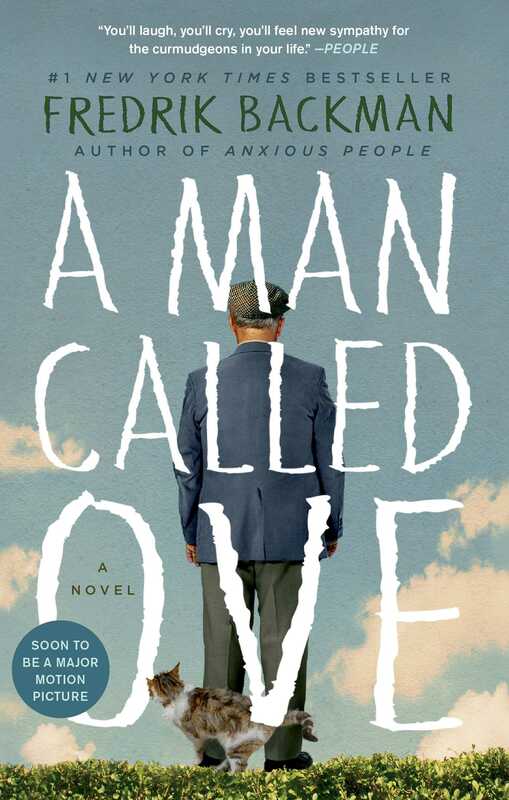 The book is about a grumpy old man who has lost his wife and job, has no family, and really shouldn’t be likable at all. I can’t really relate to this man, and so when I started reading, I was afraid it would be one of the books I struggle to get through, but then I quickly found myself crying, laughing, and falling in love. Ove really just wants to die so that he might be with his wife Sonia again. His world without her is empty and meaningless. And so the book goes on to show us their love story, their life story, and his hilariously sad failed attempts at suicide. The writing is amazing, the kind that creates a movie inside your imagination. There are some slow spots, but they are deliberate and necessary. And then there are places that pull you through Ove’s life so quickly that you actually feel the unsettling whiplash caused by the whirlwind of events that shape a man into who he is meant to be. It’s the characters who really make a book. The story is a given, a book is not a book without a story. But the people, pets, monsters, etc. are the key to making a story meaningful and worthy of your time. And Fredrik Backman created the most amazingly diverse but somehow unified group of characters I have ever had the privilege of falling in love with. In the center of them, a man whose calloused gruffness can’t quite hide his sparkling halo. It was the death, I think, that drew me up and into the story so completely. I am not suicidal, I have plenty to live for, but I have felt what Ove felt. I have known what giving up on a world that you don’t have a purpose in feels like. And I also know what finding your purpose feels like, and how difficult it can be sometimes to hang onto it. How impossible it feels when it changes or disappears. This book gives the most real, rational and logical description for what it means to get busy living or get busy dying. And to see it there, in black and white, was pretty much the most beautiful thing I’ve ever read in my life. Love will keep your head above water even when every cell in your body wants to drown. Love is the reason for everything, the meaning of life, and the purpose of this entire existence. Love can make you turn up when all you want to do is burrow under your blankets. Love can make you stay through the most hurtful, hateful situations. Love can make you walk away and never look back when you know someone is better off without you. Love can mend what it is broken, as long as you give it the chance. Love can be purpose, in and of itself. I plan to read this book at least a hundred more times in my life, but I won’t sit here and tell you that you will love it. I’m not so arrogant as to believe everyone will like what I like. I’ll only tell you that this is The Perfect Book. And I hope that if you are looking for the meaning of life, you’ll check it out just to see if you find what I found.